Why choose Diamond Garage Doors? We are leading suppliers and fitters of garage doors, with a fantastic range of styles and materials for you to choose from. 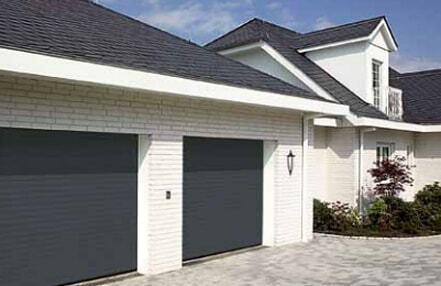 Up & over garage doors offer a wide choice of designs to compliment any house type. Roller shutter doors open vertically, and take up minimal space within your garage. Make access to your garage simple & secure. We can offer fully automatic doors, or we can automate existing garage doors. Simple to install and many different varieties of wood and finishes. Available as up and over, side-hinged and sectional garage doors. Sectional doors are available insulated and sealed all round, ideal where there is either a room above or the garage is being used as a workroom. Got a faulty garage door? Allow our expert team to assist you; we’re reliable, professional & affordable. The experienced team of engineers at Diamond Garage provide a reliable garage door installation service in Flitwick. We supply a range of garage doors, providing exceptional security, insulation and aesthetics no matter what style you choose. Every garage door we install comes with a three year guarantee, and we also provide a free survey and quotation. With a full range of colours and finishes to choose from, Diamond Garage Doors can help you find the ideal garage door for your property. In addition, we also provide specialist garage door repairs. Whether your garage door is suffering from minor damage or major faults, we can perform an efficient service without any fuss. This includes an emergency repair service to fix any immediate issues. To find out more about all of our garage door installation and repair services in Flitwick, simply contact our friendly team today. © Diamond Garage Doors 2019. All Rights Reserved.